Westchester Dermatology Center (Bronx) - Book Appointment Online! We custom tailor our general dermatology treatments to accommodate your individual skin health needs. Have skin that not only looks beautiful but also feels healthy. Our team strives to give you the skin of your youth; supple, flawless and lush. 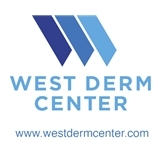 With Westchester Dermatology Center on your side, your skin will look amazing. • Adult and pediatric dermatology, from 0-99 • Treatment of common dermatologic disorders • Removal of unwanted moles and growths • Disorders of the hair as well as nail treatments. Our staff has the best treatments for acne and acne scarring, broken blood vessels, eczema, fungal infections, hair loss, moles, psoriasis, rashes, warts.